Mexican tenor Eleazar Rodriguez has received acclaim on both sides of the Atlantic for his vibrant portrayals of leading roles in operas by Donizetti, Rossini, Mozart, Verdi and Wagner. Mr. Rodriguez starts off the 16-17 season at the Badisches Staatstheater in Karlsruhe with his role debut as Nemorino in a new Jacopo Spirei production of Donizetti’s L’elisir d’amore and as Tebaldo in a revival of Bellini´s I Capuleti e I Montecchi. He then debuts as Don Ramiro in Rossini’s Cenerentola at ABAO-OLBE in Bilbao conducted by Antonello Alemandi. He returns to Karlsruhe for the role of Meisterjünger in the world premiere of Avner Dorman’s Wahnfried, conducted by Justin Brown and directed by Keith Warner. 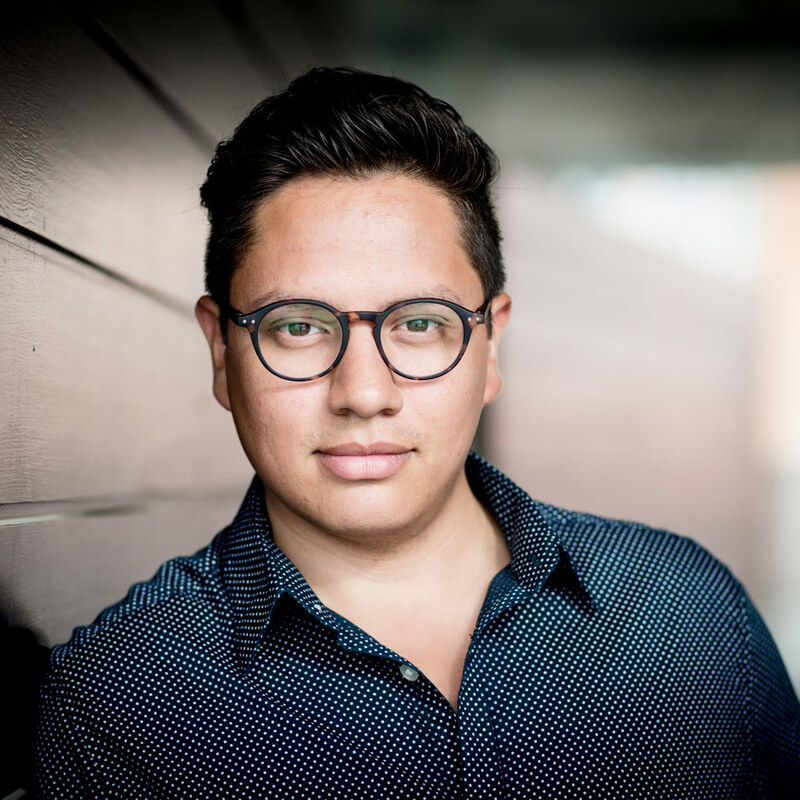 Eleazar Rodriguez opened the 2015-16 season with two house debuts at English National Opera and at Oper Graz in the role of Count Almaviva in Rossini’s Il barbiere di Siviglia. He also returned to the Badisches Staatstheater in Karlsruhe singing his first performances as Belmonte in Mozart´s Die Entführung aus dem Serail, Tebaldo in a new production of I Capuleti e I Montecchi, the roles of young sailor and shepherd in a new Christopher Alden production of Wagner´s Tristan und Isolde, and Tamino in Mozart´s Die Zauberflöte. He also debuted at the Saarländisches Staatstheater in Saarbrücken as Fenton in Verdi’s Falstaff. Since 2011-12 Mr. Rodriguez has been a member of the ensemble at Staatstheater Karlsruhe, where his roles have included acclaimed performances as David in Wagner’s Die Meistersinger von Nürnberg and Tonio in a new production of Donizetti’s La Fille du Régiment in the 2012-13 season. He also took the stage in Karlsruhe as Fenton in Falstaff, Ferrando in Mozart’s Cosi fan tutte, Alfred in Die Fledermaus, Iopas in Berlioz’ Les Troyens, Leonato in Händel’s Alessandro, the Singer in Strauss’ Der Rosenkavalier, and Le Théière in L’enfant et les sortilèges and the Fisherman in Le Rossignol. Furthermore he has sung Tamino in Die Zauberflöte at Konzert Theater Bern and returned to Theater Heidelberg in the role of Ferrando in Cosí fan tutte. He also performed Tamino with the International Vocal Arts Institute in Tel Aviv. During the 2010-11 season, he was a member of the ensemble at Theater Heidelberg, where he took the stage as Tamino, Jaquino in a new production of Beethoven’s Fidelio, and Cassio and Rodrigo in Verdi’s Otello. He repeated the role of Rodrigo for his debut with Oper Frankfurt. Eleazar Rodriguez was a member of San Francisco Opera’s Merola Opera Program in 2009 and 2010, where he performed Federico in Pietro Mascagni’s L’Amico Fritz. Other appearances in North America were with Michigan Opera Theatre in Detroit as Almaviva in Il barbiere di Siviglia, a role he also performed with Fremont Opera. In 2008 Mr. Rodriguez appeared in recital at the Kennedy Center. During the 2006-07 season, he sang lead roles in the world premieres of three operas in San Francisco: Salvador Dali in David Conte’s opera Famous, Lara in America Tropical, also by David Conte, and the title role in Young Caesar by Lou Harrison. He was also heard in concerts and recitals throughout Mexico, including at the Teatro del Palacio de Bellas Artes in Mexico City. His concert repertoire includes the tenor solos in Mozart’s Coronation Mass and Requiem and Rossini’s Petite Messe Solennelle. Mr. Rodriguez has performed Britten’s Les Illuminations with the Badische Staatskapelle Karlsruhe under Music Director Justin Brown and Orff’s Carmina Burana with the Lutherana Karlsruhe. He earned a Bachelor of Music Degree from the San Francisco Conservatory of Music where he received the “Outstanding Achievement Award” in 2007 and 2010. He also holds a Music Diploma from the Escuela Superior de Musica de la Universidad Autonoma de Coahuila. Mr Rodriguez studied with César Ulloa. A native of Piedras Negras, Mexico, Eleazar Rodriguez is a recipient of the Placido Domingo voice scholarship given by Sociedad Internacional de Valores de Arte Mexicano, Mexico’s most renowned young artist programme. He is also a top prize winner in the Carlo Morelli National Competition in Mexico City. In 2011, he was a semi-finalist of the Neue Stimmen Competition in Germany.